Last week we talked about Letting Go of the Little Boy. This week is about holding onto truth. God has given moms that Mama bear attitude that keeps our children protected from harm when they’re little. We have snakes on our property. Some of them are actually good snakes that we let live. When one good gopher snake was prowling (do snakes prowl or slink?) around my son’s chicken coop. I tried to pick it up with a shovel and direct it away from the pen. (By the way, shovels do no hold a three-foot snake. It will twist back at you as you hold the shovel.) I didn’t have much Mama bear courage at that moment. I threw that thing as far as I could. When it wrapped around our corral fence, then tried to get back into the chicken coop, I had to protect my son’s chicks, I killed it. That mama bear mentality is a God-given trait that makes us love our child at their worst. There is a time to stand up for your child, to defend them against the world and all its evil. But there is also a time when that child is no longer a child but a man and must stand on his own choices. 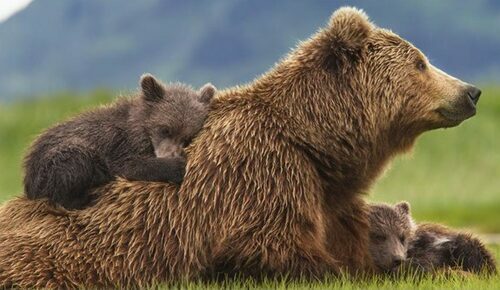 But we don’t lose that mama bear instincts. Yet that mama bear trait can be our child’s undoing. It’s a temptation for a mom to excuse her son’s behavior, to justify his choices, to change truth to accept his actions. When my son was little and did wrong, I was the first to correct him. I was protecting him from choices that would hurt. That’s when we must hang onto truth. That is contradictory. What is there to forgive if there is no wrong? As moms, we must recognize the wrong, not sugar coat it, not justify it, not accept it. Their actions are wrong. It wasn’t an accident, or a mistake; it was a choice, a very wrong choice. The second mistake we make as moms is to protect them from their consequences. We know their actions are going to get them hurt. We protect them. They spent money poorly; we bail them out. Do they learn? Of course, they learn their poor choices can be solved by our hand-outs. But we don’t want them to hurt. It hurts us. We love them enough to allow the consequences of their actions to teach them to change. Sure, it hurts the mom more than the child. Have you ever noticed all the Proverbs that speak of the foolish son bringing grief to his mom? Those are no empty words. What is the cost to them and to you if you don’t let go and allow them to suffer? If you as a mom continues to soften God’s consequences, He must bring harder blows, because your son hasn’t changed. Mama bear, get out of the way and allow God to work in his heart. Mama bears eventually kick their bears out of the den. 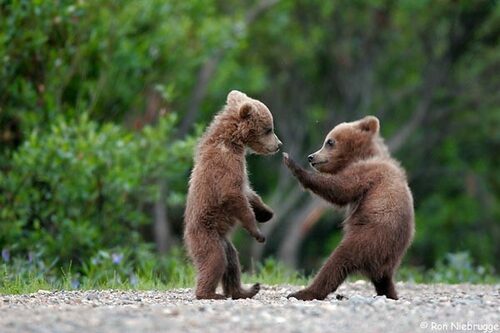 They are no longer cubs, but grown bears. It’s hard being a mom. It’s hard watching them hurt. It’s hard not to want to protect them. But hold fast to truth. You haven’t deserted them, or stopped loving them. Keep waiting for their return to truth. Hold onto truth, for that is where God is. What other ways can mom be prepared for the leaving teen? Another excellent article Sonya! Hard to let go. Hard to not weep in the wee hours of the morning. But God saves our tears in a bottle; we sacrifice those tears up to the Lord, in a gift wrapped box with a bow.